LIFE ON THE OUTER BANKS! 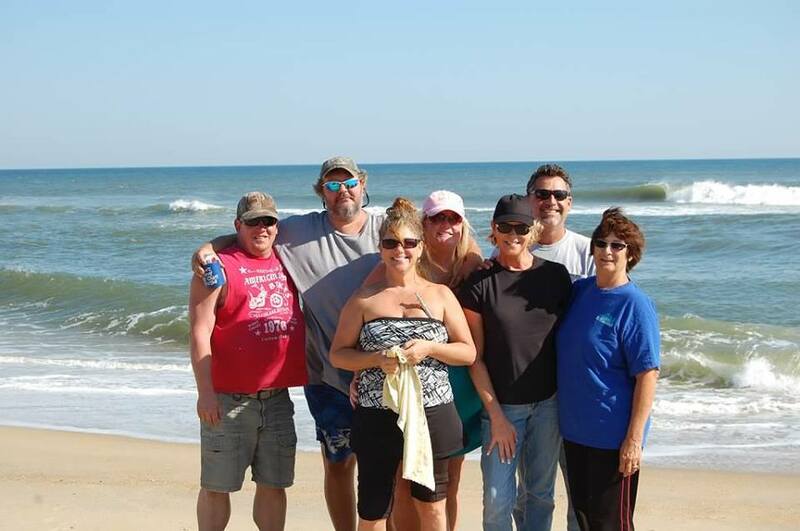 TheOuter Banks Association of REALTORS held their 15th Surf Fishing Tournament this past week! We caught more fish than any other tournament in the past - it was a great day and the proceeds went to the Disaster Relief Program! REALTORS on The Outer Banks are very active in their community and do a lot of good deeds throughout the year. We believe in giving back to a community that affords us a great place to live and earn a living! Come visit us and let us give you a tour of our area and educate you owning a home on The Outer Banks of NC! Six on The Beach! The Doshier Team Four Seasons Realty and Shoreline OBX Property Managers! This week we have had a little chill in the air but the fishing has been Great! Today the wind has died down and it is a beautiful day at the Beach - people are out fishing and just taking walks on the beach picking up their sea glass and shells. Now is the time to come on down and take a look at that beach house you have had your eye on - prices are great and we just got an update on mortgage rates and they are still holding under 5% even for Jumbo Loans. We look forward to helping you "Find Your Place at the Beach"
Fall is a Great Time to Visit the Outer Banks of NC - Come on down, relax, do a little fishing, and give us a call and we will be glad to give you an overview of investing and owning your own "Beach Home" you will find we are still in a Buyer's Market and now is the time to buy! Fall of the year is a great time to look as we can easily get in and out the homes. It doesn't matter if you are looking for a small beach box to a 28 bedroom home, we have it all - just let us know what you like and we will find it for you! There are so many things happening on the OBX in October. Don't miss the 23rd annual Parade of Homes 2015! The Parade of Homes is a self guided tour of 22 homes from Corolla to South Nags Head. The tickets are $10.00 and are good for all four days. Once you purchase your ticket you will get a parade of Homes Magazine that includes a detailed map to help you locate all of the homes on the tour. Proceeds from ticket sales benefit local charities. It's the 9th annual Duck Jazz Festival from 11 am to 6 pm and the gates open at 10 am. Harvest Hay Day!! This is not miss family event at the Elizabethan Gardens in Manteo. There will be hayrides through the gardens, bonfires, educational activities for the children and crafts. Kids under 14 are free with a paying adult ticket. The Outer Banks is home to many festivals, such as seafood, arts, crafts and music. Coming this month September 23-26 is the Bluegrass Island Festival 2015 - Mountain Music by the Sea. On Friday September 25th will be the, not to miss, Boomgrass fireworks show that starts at 10:30 pm. This is a fun family event with great music, food and crafts of all sorts. Log onto bluegrassisland.com for more information. And don't forget your lawn chairs! We have compiled a few tips to help you as a home owner, present your home to prospective buyers, so that they will automatically see the potential your home can have for them as future owners. You only get one chance to make a first impression and we are here to help you make that first impression count. Make sure the yard is mowed and cleared of all trash and debris. Replace any missing shingles or siding. Clean all windows and paint walls a neutral color where necessary. Turn all lights on when showing your home to make the home inviting. Infuse the home with a pleasant aroma. Clean carpets, woodwork and wood flooring. Clear clutter from all rooms and discard unnecessary items. Replace old bed linens to give a crisp and clean look to the room. Make sure all appliances and fixtures are in working order. A little elbow grease goes a long way when you think about the return you will gain by taking the time to make a great first impression!